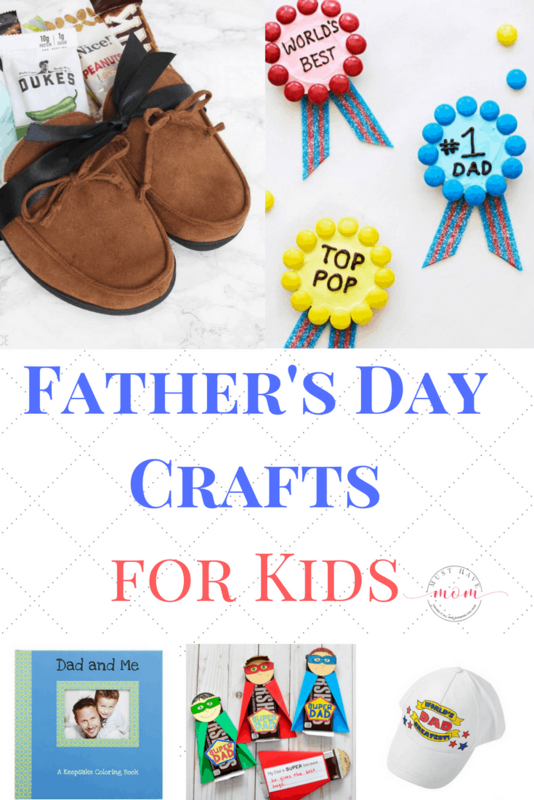 Father’s Day is just around the corner and that means I am looking for fun crafts for the kids to make. 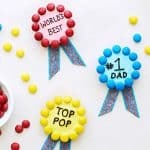 These Father’s Day crafts for kids are the perfect way for children to show dad just how much they love them. 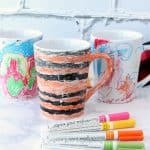 You are sure to find the ideal Father’s day crafts for kids on this list. 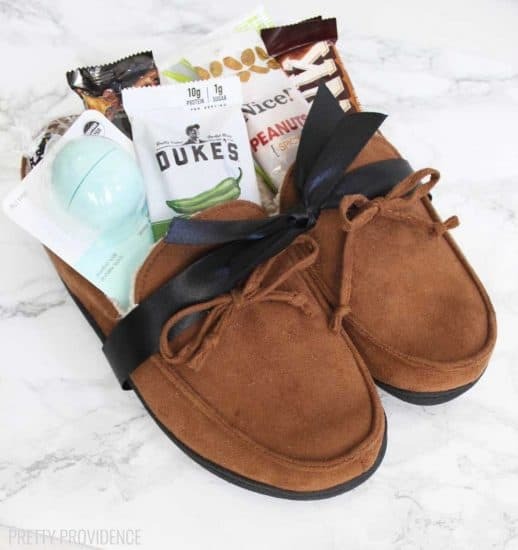 Help Dad sit back and relax with this adorable slipper gift idea from Pretty Providence. You don’t have to be ultra crafty to pull off this gift. 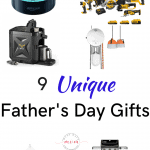 Just get a new pair of slippers and let the kids help pick out some of Dad’s favorite treats to go inside. I’m a huge fan of artwork. So this Fathers Day portrait drawing from Tot Schooling is right up my alley. 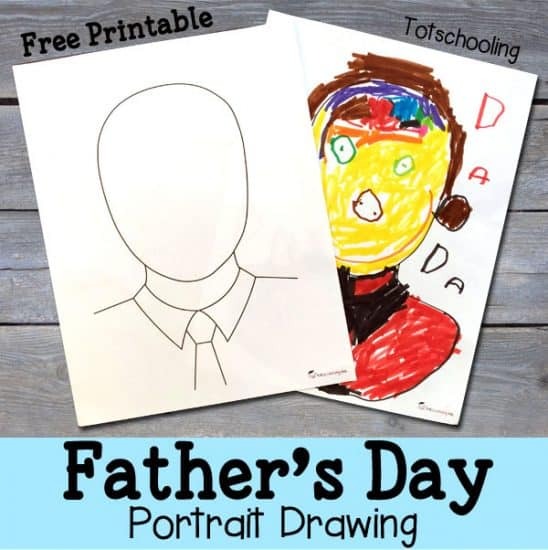 Just download the free printable portrait outline and let the kids color their own picture of Dad. 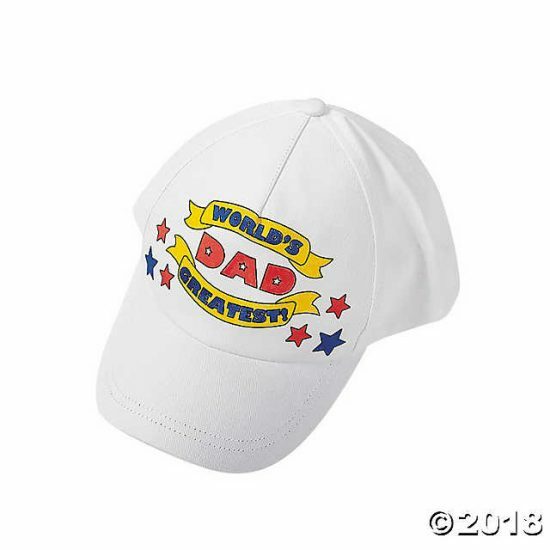 If Dad is one who is outdoors a lot these color your own hats from Oriental Trading Company are a great craft idea. All you need is some fabric makers and Dad will be showing everyone that he is the Worlds Greatest Dad in no time. 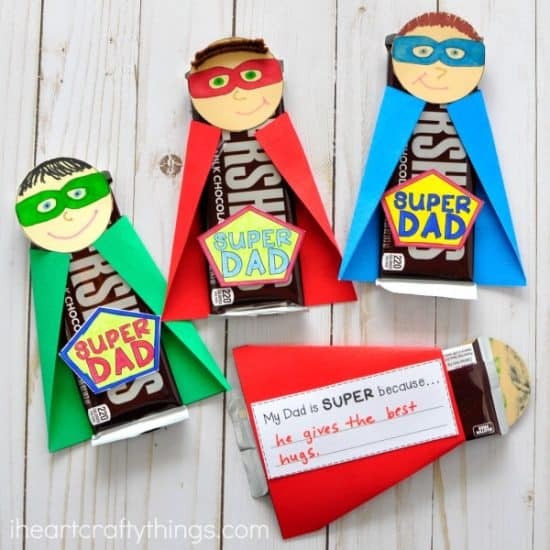 Show dad just how super he is with this super Father’s Day gift from I Heart Crafty Things. I love the note space on the back so kids can let Dad know just why they think he is super. 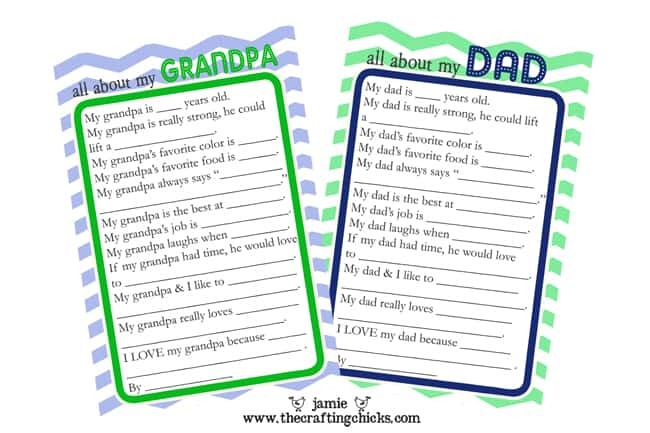 These printable questionaires from The Crafting Chicks are a great way to see what the kids really think of Dad. I love seeing anwers to questions like these. It is always really funny and super sweet. Get in the kitchen and let the kids make these Father’s Day cookies. These adorable cookies are easy enough for the kids to make and are the perfect gift and dessert for Father’s Day. Let the kids surprize Dad with his own Dad and Me book. This book features blank pages for coloring and writing promts. 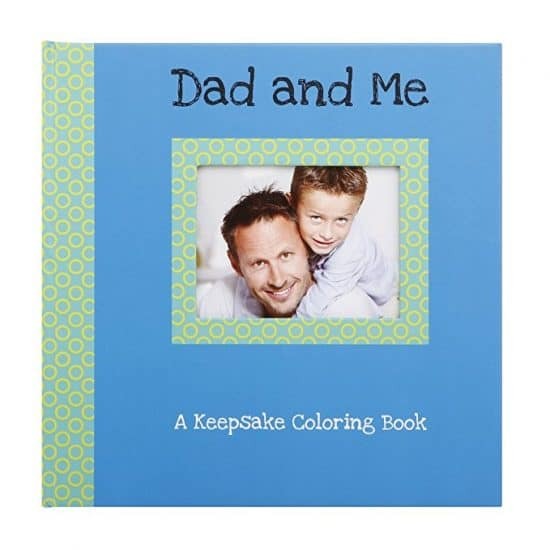 It ends up being an adorable keepsake book perfect for Dad. Suprize dad with his own Father’s Day coupon book. 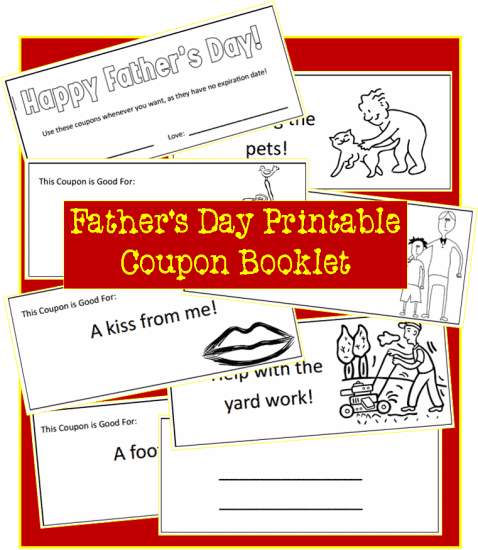 Give Dad coupons for a free kiss, help with yard work, and even blank coupons so the kids can create their own. 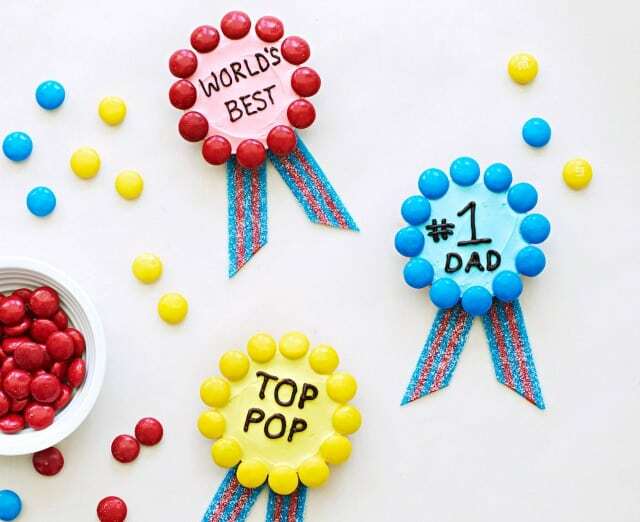 What Fathers’s Day Crafts for Kids are you making this year? 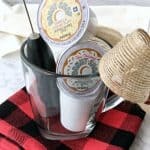 These are all really great ideas! I love the portrait drawing printable! How fun! Pinned! Thank you for sharing on Merry Monday! Hope to see ya next week!